If you've followed me since the start of this year, you may have noticed something. I was fairly critical of Final Fantasy XIII-2. Case in point. The fact of the matter is, I've been a massive fan of Final Fantasy for a really long time. I thought Final Fantasy XIII was deeply flawed, but pretty fun none the less. I thought it had a lot of potential, and XIII-2 promised to deliver on that potential. Instead we got a couple fixes at the expense of a floundering mess of a game. Sure, it fixed the mistakes of it's predecessor, but it create more (and bigger) problems in the process. When I was done with XIII-2 I felt disappointed, and a little betrayed even. So suffice it to say that when I heard the official announcement of Lightning Returns: Final Fantasy XIII, a lot of thoughts went through my mind. Read on for my best attempt at arranging those thoughts into something coherent. Obviously my first reaction to the new of a new FFXIII game was trepidation. It isn't as though the news came as a surprise, though. I want this series to succeed so much. I already mentioned my history with the series. More to the point though, I was that guy that saw the potential in FFXIII, and saw it crash upon the rocks in the sequel. Lightning has occupied the wallpaper of my phone for almost 3 years now. I want her to find a good game to occupy, but FFXIII-2 had me beginning to question Square-Enix's ability to deliver. What's more, their recent reveals of Final Fantasy Dimensions' price point, and the ridiculously overpriced anniversary collection have done nothing to ease my mind on the matter. The skeptic inside me has been telling me for months that if Final Fantasy Versus XIII flops, the series will wither and die. It certainly doesn't help that the FFXIII label is one that they have been riding for almost a decade, despite the fact that it has been largely unsuccessful. (word is that Final Fantasy Type-0 is quite good, but the Japanese are keeping that one to themselves, it seems.) None the less, the announcement of Lightning Returns: Final Fantasy XIII has allowed me to dare to dream yet again. Perhaps it's the same naive dream as I had for FFXIII-2. Perhaps the fanboy in me will never truly let the series go. But there is hope. And not that stupid whiny kid. Perhaps the first thing I looked for in this new game, was answers. Final Fantasy XIII-2 was not so good at providing them. I originally assumed that these answers were withheld to be sold as DLC at a later date, but it seems as though they were just never intended to be given. With that said, it does not look like Lightning will be giving us any, either. 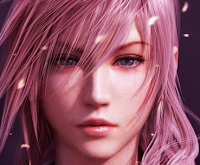 While I'm not entirely clear on the timeline (no thanks to XIII-2), it seems as though Lightning Returns will not be picking up where the plot of the previous game left off, despite being a direct sequel. While I would be somewhat bitter to pay $60 just to find out what happened in the previous game, I do still hope that I misunderstand what I have read. It makes little sense to me, to create a direct sequel and just disregard at least some of what happened leading up to it. Perhaps more important than all of this is of course the gameplay, and it is this that has me the most curious. There are a few different elements to look at, but I'm going to start with the customization. Final Fantasy has been toying with the concept of the sphere grid for a while now. It's never really been successful since it's original implementation in Final Fantasy X. XIII did a decent job, but didn't offer any real choices/character customization. XIII-2 had a decent level of customization, but it required that you know exactly how the system worked (and screwed you over somewhat if you didn't.) There's no word on how Lightning Returns will treat leveling up, but what we do know is thus: Lightning will be alone, for one. For another, she will have a wide range of costumes and weapons to choose from, which will effect her play style. As a huge fan of customization, I'm intrigued by this system. I was not particularly impressed by the way dresspheres were implemented in FFX-2 however, so I'm hoping that similarities between the two are minimal. If all goes well this system could have potential, though. On that matter, the way Lightning Returns will handle combat seems to have been turned on it's head. Details are somewhat scarce, but the word seems to be that the system will focus on bringing the player closer to the action. The player will control Lightning much more directly, bearing some similarities to Kingdom Hearts. The system will still use the ATB, but will focus more on agility and timing. I'm of two minds on this matter. On one hand, the battle system used in the previous titles was quite good. The battle system carried Final Fantasy XIII, though in XIII-2 it never really got many opportunities to put it through it's paces, despite improvements. With that said though, there were some pretty glaring flaws with it, and it feels like it's had it's day in the sun. Even before this game's announcement, I felt that a third game with the exact same battle system would feel kind of "bleh", so I'm glad to see a change of pace. Hopefully Squeenix can really capture the feel of playing Lightning, if they can do that the system will be very successful I think. Finally, perhaps the most intriguing thing to look at is the approach Lightning Returns is taking to it's world. I've personally felt that one of the biggest, but also most subtle issues with the previous XIII titles, were the world. Both games left you feeling somewhat detached, while I believe the desire to explore is pretty core to RPGs. Square Enix has come out and said that Final Fantasy XIII was character driven, XIII-2 was story driven, and Lightning Returns will be world driven. There is hope yet. What they then describe is in essence, a combination between Majora's Mask, and Breath of Fire: Dragon Quarter: two exceptionally good games. The concept is a world that will end in 13 days. Time continually passes as doomsday approaches, and in the meantime the world is constantly changing with or without you (a la Majora's Mask). Now before I explain where the Dragon Quarter comparison comes into play, let me wax lyrical about the game for a moment. Dragon Quarter was an extremely polarizing game, because it made a lot of bold choices. Some people loved them, some didn't. As a result it only did moderately well for itself, but I fell firmly into the prior category. So in a nutshell, the game went something like this: You have a percentage. Virtually everything you do increases that percentage, from walking to performing super powerful attacks. When this percentage hits 100, the game is over. Only, Dragon Quarter is never truly over. In fact, it's nigh-impossible to beat the game first time through. Instead, when you are up against the wall, you get to restart from the beginning, keep some stuff, and experience a slightly different path this time around. Combined with very limited saving and inventory space, Dragon Quarter was an RPG that added an unparalleled amount of weight to each and every action you took. But that's enough about that. What's neat is that basically everything that I just said about Dragon Quarter is also true about Lightning Returns. Time passes continually, and if you run out of time you get to reset but with some bonuses. Perhaps things will turn out differently this time. In fact, the world being described sounds dynamic enough that, second time through will likely be very different. Time is also used as a sort of currency, again, much like Dragon Quarter. Certain actions will cost you time, bringing you closer to doomsday. Between a world that sounds much more open and dynamic, ready to be explored, and the Dragon Quarter parallels, I really cannot wait to sink my teeth into it. There was some mention of tieing the game world to the real world through Facebook and such, but I have little interest in that. It's a novel idea, but attempts so far have been pretty lame. LIKE FACEBOOK! HA! Anyways, that's about it. I apologize for the lack of coherency, pictures, and all the other things that are probably missing from this post. I simply needed a way to dump my thoughts onto a page before my head goes boom. Clearly I'm pretty excited to see what this game may have in store for us. Hopefully that excitement doesn't end up being for naught, as it was the last time around.